As a web and graphic designer I love my job and am passionate about what I do. This week I took a little time off and joined my daughter on a “Heritage Day” field trip. We were treated to eight presentations by local experts on everything from candle making to “Toys enjoyed by pioneer children”. 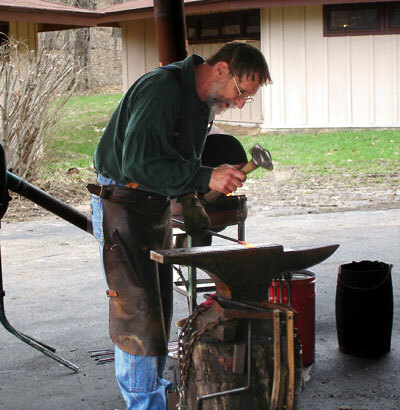 I particulary enjoyed the presentation by a blacksmith who was very also passionate about his trade. He made a nail and an artistic rendition of a leaf.